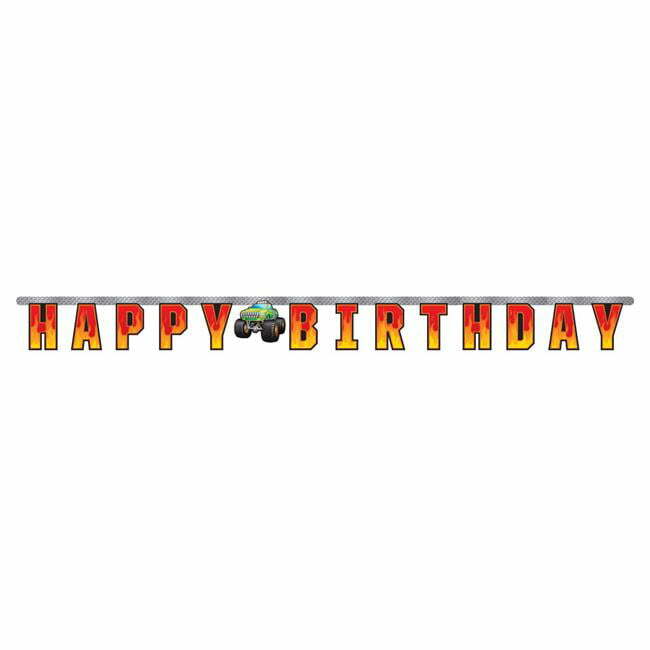 Wish your child Happy Birthday in a big way with this Monster Truck Banner. Featuring the phrase ''Happy Birthday'' spelled out in fire designed letters, this banner is the perfect addition to your celebration. Measures 81'' x 7'' and This banner can be paired with any other Monster Truck party supplies.